I love the Oregon coast and this is a classic Oregon coast joint. 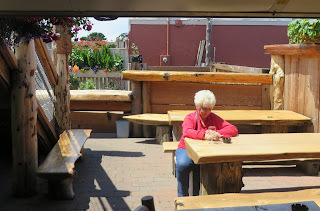 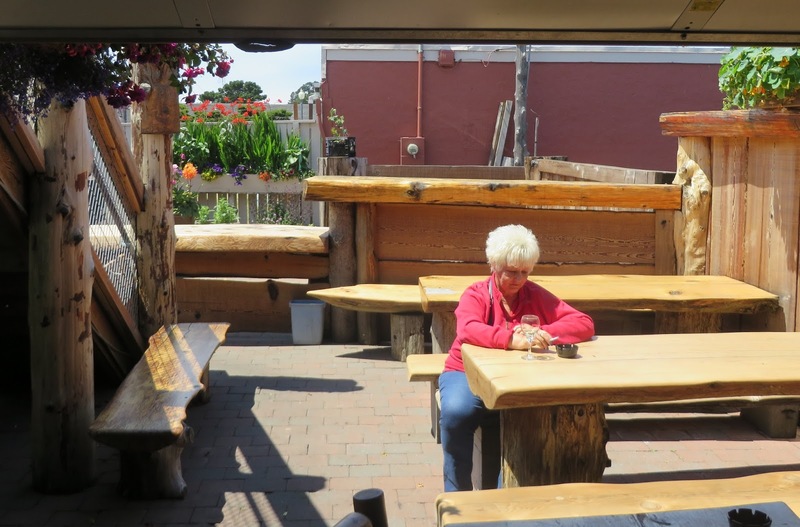 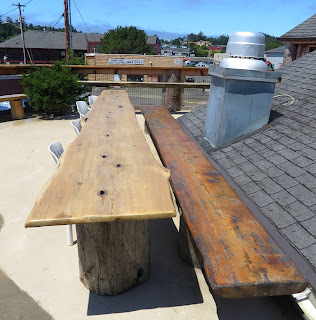 It doesn't feel old, with all the brightly glowing sealed fir and modern looking interior, but they claim that it is the "oldest continuously operated bar on the Oregon coast" and that it was established in 1927. 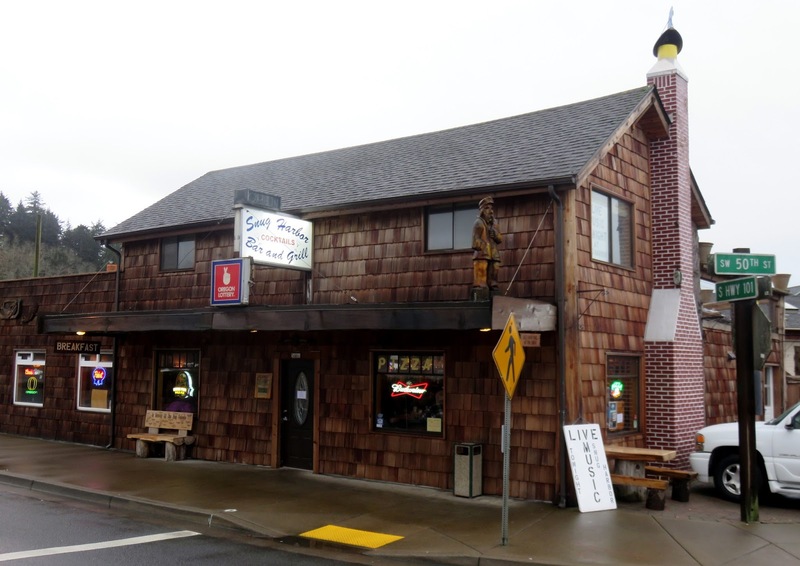 Of course 1927 was in the middle of prohibition so that doesn't answer the question of how long the (licensed) bar has been running, and I'd love to confirm in some primary sources that it has been here with the "Snug Harbor" name for about that long. 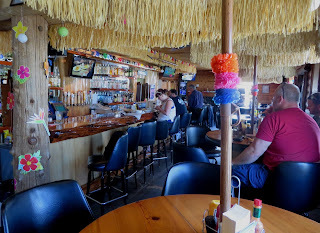 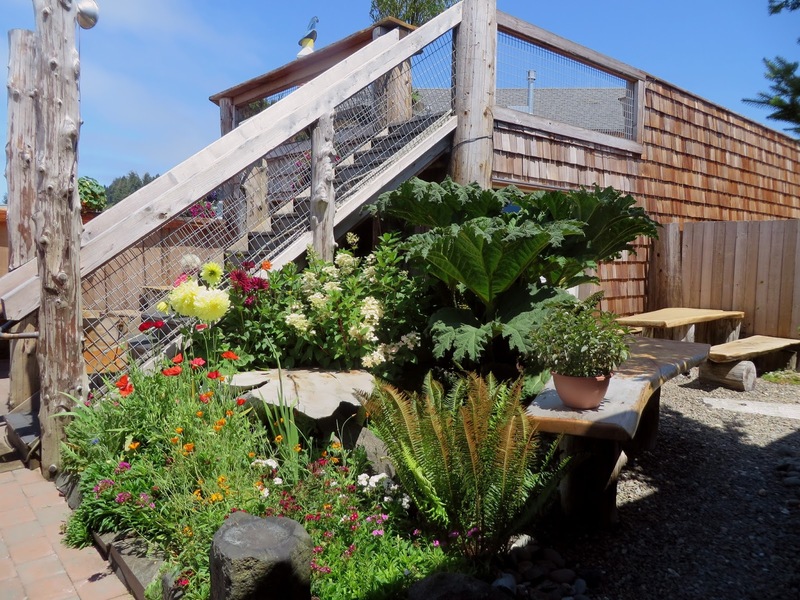 In any case, today "the Snug" is as comfortable as a private beach cabin, with nice people, good clam chowder and food, a moderately lively atmosphere, and a nice garden patio on the roof for sunny days.